Dijon is a city in eastern France, the capital of the Côte-d'Or département and of the Bourgogne region. Dijon is the historical capital of the province of Burgundy. Population (2005): 150,800 for the commune; 236,953 for the greater Dijon area. The Le Jura Hotel is a comfortable, modern and traditional style hotel, the perfect stopping place for tourists or business visitors.It is just a few minutes walking distance to the beautiful Gothic Cathedral, the Palace of the Dukes of Burgundy with it's famous Museum and the Botanical Gardens.The 75 rooms have character, naturally quiet on the inner garden with trees and flowers during the summer which gives guests the tranquility of the countryside in the heart of the city. 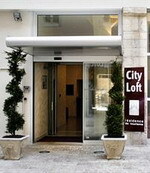 The Hotel Residence City Loft is located in Dijon, France, 400 metres from the Magnin Museum and 500 metres from the Municipal Library. The Archaeology Museum is located 300 metres away from the hotel. Nearby parking is available (surcharge) and the staff are multilingual. This hotel has a patio and the public areas are air conditioned and offer complimentary wireless Internet. Hotel Residence City Loft provides a complimentary continental breakfast buffet each morning. The 51 guestrooms are all air conditioned and have televisions with satellite channels and direct-dial phones. The kitchenettes include refrigerators, microwaves, coffee and tea facilities, dishes, and cookware. The private bathrooms come with hair dryers. 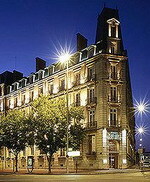 The Sofitel Dijon is housed in a traditional chateau-style property with ornate exterior detailing and a marbled lobby, and is situated in the centre of the historic French city of Dijon. The 68 guestrooms over five floors have traditional French decor with warm colours and antique-style furnishings. All are equipped with wireless Internet connections, satellite television with pay movies, direct-dial phones, minibars and safes. Bathrooms include shower/tub combinations, robes, makeup mirrors, telephones and complimentary toiletries. In-room massage is available on request. A doorman greets guests arriving at this grand hotel, and porter services are available for those with heavy luggage. Health-conscious guests can tone up on the hotel's fitness equipment and then unwind with a sauna. Sited overlooking the gardens, with a terrace for outdoor dining, the Jardins de la Cloche Restaurant features a glass roof and uses seasonal produce to prepare creative French dishes. Dinan is a walled Breton town and a commune in the Côtes-d'Armor department in north-western France. Its geographical setting is exceptional. Instead of nestling on the valley floor like Morlaix, most urban development has been on the hillside, overlooking the river Rance. The area alongside the River Rance is known as the port of Dinan and is connected to the town by the steep streets Rue Jerzual and its continuation outside the walls the Rue de Petit Fort. For many years, the bridge over the River Rance at Dinan was the most northerly crossing point on the river, but the tidal power station at the mouth of the estuary, constructed in the 1960s downstream from Dinan, incorporates a 750 meter long tidal barrage which doubles as a crossing point nearer to the sea. The medieval town on the hilltop has many fine old building some as early as 13th century. the town retains a large section of the city walls part of which can walked around. Residence Hotelière Duguesclin is located in Dinan, France, three kilometres from the old town district and the city ramparts. The nearest train station is six kilometres away. This contemporary property has an indoor heated swimming pool (open seasonally). Multilingual staff can assist with tour itineraries and the front desk has a safe-deposit box. 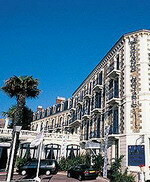 Residence Hotelière Duguesclin's Au coin du Feu serves regional dishes, and breakfast is available for a surcharge. 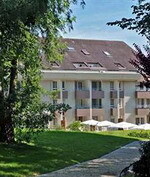 Residence Hotelière Duguesclin is three kilometres away from a golf course. The 52 apartments at Residence Hotelière Duguesclin have modern decor with contemporary furnishings and include televisions, complimentary wireless Internet access, and kitchenettes with microwaves, refrigerators, dishwashers, and tables. The Grand Hotel Barriere has been a favorite destination for generations of British and French aristocratic families and cinema stars. Featuring architecture from the second empire and subtle elegant furnishings, the Grand Hotel provides 90 guestrooms and three suites, extensively renovated and all with views of the sea or the hotel's private garden. Amenities include internet access, cable television, minibar, bathrobes and en- suite bathroom with telephone. Guests may request a fax machine and vcr, and some rooms include individual safety deposit boxes. In the warm glow of the sunset, the hotel bar, 333 Café, offers an inviting location to relax and enjoy fresh fruit juices, cocktails, and large selection of champagnes and whiskies. Light salads and sandwiches are served on the terrace overlooking the sea at Les Terrasses du 333 café. 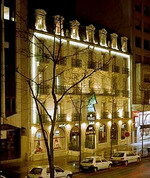 And the hotel's Blue B is a trendy venue with a cozy atmosphere and serving modern cuisine. The Grand Hotel Barriere offers a fitness facility including indoor heated pool, sauna and hamman. Dol-de-Bretagne is a commune in the Ille-et-Vilaine département in Bretagne in north-western France. Dol-de-Bretagne is reputed to be the origin of the royal House of Stuart who became the monarchs of Scotland and later the United Kingdom and there is a plaque in Dol commemorating that. In fact, the Stuarts descend from the Fitzalan family, one of whom became the Seneschal of the Count of Dol and his son, Flaad Fitzalan, arrived in Britain in the army of William the Conqueror. Flaad's grandson, Walter Fitzalan, was appointed the Ist Steward of Scotland by David I of Scotland. Malcolm IV of Scotland later confirmed the honour bestowed by David and made the office of Steward of Scotland hereditary in Walter's family. The 16th-century chateau, Domaine Des Ormes, is located on 200 hectares of landscaped property in Epiniac, France. This hotel stands 20 kilometers from Saint-Malo and Le Mont Saint-Michel. The L'Oie Gourmande restaurant offers refined French cooking with specialties such as Cancale oysters and roast lobster with butter sauce. Children's and vegetarian menus are available. The Clubhouse Restaurant is set in one of the chateau's outbuildings, and offers a changing menu daily. The outdoor pool provides a sundeck and lounge chairs, while a fitness center is equipped with cardiovascular and weight-training machines. 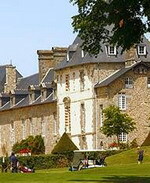 An 18-hole golf course is located on the property, and bicycles can be rented for exploring the Côte d'Emeraude countryside. Douai is a commune in the Nord department in northern France. It is a sub-prefecture of the department. Located on the river Scarpe some 40 km from Lille and 25 km from Arras, Douai is home to one of the region's most impressive belfries. The main industries in the town are in the chemical and metal engineering sectors. Renault has a huge vehicle assembly plant near the town, which has produced many well known Renault vehicles, such as the R14, R11, R19, and the Megane and Scenic of today. 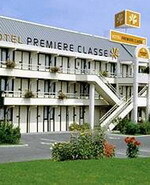 Hotel Premiere Classe Douai is located in the city of Douai, France, which is 29 kilometres from Lille. 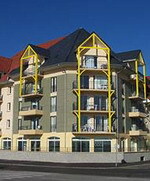 This modern three-storey hotel has contemporary architecture. There is complimentary secure parking, and a vending machine with cakes, biscuits and cold drinks is available. The 72 guestrooms have light neutral decor and simple, contemporary furnishings. All are equipped with satellite television and air conditioning. Complimentary toiletries and newspapers are also provided. Le Tréport is a commune in the Seine-Maritime department in the Haute-Normandie region in northern France. A small fishing port and light industrial town situated in the Pays de Caux, some 21 miles (34 km) northeast of Dieppe at the junction of the D940, the D78 and the D1015 roads. The mouth of the Bresle river meets the English Channel here, in between the high (110 metres) chalk cliffs and the pebbly beach. Le Tréport is also a sea-side resort and home to a casino. 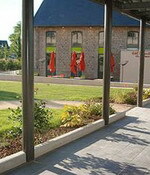 The Madame Vacances Residence les Terrasses de la Plage is situated in Cayeux-sur Mer, France. The Residence is opposite a shingle beach, Baie de Somme is eight kilometres away and Les Terrasses Calvary is 16 kilometres away. Housed in a modern, four-storey building, Les Terrasses de la Plage features an indoor pool with a children's area, a terrace, and a fitness room. During the summer a complimentary children's club offers games and creative activities. Parking is available on site for a surcharge. There are no dining facilities available at the residence, but a number of restaurants and cafes are located within walking distance. Évian-les-Bains or Évian is a commune in the northern part of the Haute-Savoie department in the Rhône-Alpes region in south-eastern France. It lies on the shores of Lake Geneva (aka Lac Léman), opposite Lausanne, Switzerland. The town is home of Evian mineral water, which makes up the foundation of the economy together with the Casino d'Evian, largest themed casino in Europe, and the Evian Royal Resort, favorite holiday destination of former French President François Mitterrand. Many of the inhabitants of Evian work in Lausanne and other Swiss cities nearby. The Hilton Evian-les-Bains is a modern hotel that is set against a backdrop of the French Alps, and enjoys views of Lake Geneva, which is 500 metres away. The Spa Park is 500 metres away and the Lakeside Promenade is 900 metres from the hotel. The Hilton Evian is a favourite Summer resort thanks to the lake and a comprehensive array of amenities devoted to the water sports and golf, including the Evian Masters in July. Guests can enjoy a dip in the pool, tone up in the fitness room or indulge in some pampering at the on-site beauty centre. The hotel also offers a walking track and a children's playground. Open for breakfast, lunch and dinner, the informal Cannelle restaurant serves dishes from around the world and offers outdoor terrace seating and lake views. The Riva Lounge is a traditional French brasserie at street and garden level. Cocktails are served at the Cosmopolitan Bar. Built in 1859, the Hotel de France is set in a pretty, pastel building located 200 metres from the lakeside in the French spa resort of Evian-les-Bains. Geneva International Airport (GVA) is 55 kilometres from the hotel, a 60-minute drive. In spite of being situated on a pedestrian street in the town centre, the hotel looks down onto its own square-kilometre of gardens. Guests can also relax on the hotel's veranda, while other amenities include complimentary Internet connections and onsite parking. Active guests can head to Lake Geneva for a range of water sports including wind surfing, sailing, and scuba diving, or make the one-kilometre journey to the Evian Masters golf course. The hotel's garden holds a secret: within its walls are the ruins of a 13th- century chateau which belonged to the powerful Dukes of Savoy, a dynasty which went on to become the royal family of Italy. The Hotel le Littoral is a traditionally built three-storey property located in the centre of the French spa town of Evian les Bains, 50 metres from Lake Leman. The hotel is next door to the Casino Royal, and the town's English Garden and spa park are within 400 metres. Geneva International Airport is 45 kilometres from the hotel, with an approximate driving time of one hour. Health and leisure facilities at the Hotel le Littoral include a sauna, massage-treatment room and a fitness suite. The air-conditioned public areas are equipped with complimentary wireless Internet access. A buffet breakfast is served each morning (surcharge). Motorists will find secure garage parking on site. Restaurant la Croisiere offers regional specialities, fish dishes and pizzas and opens onto a terrace overlooking Lake Leman. Évreux is a commune in Haute-Normandie in northern France in the Eure department, of which it is the capital. Évreux is situated in the pleasant valley of the Iton, arms of which traverse the town; on the south, the ground slopes up toward the public gardens and the railway station. It is the seat of a bishop, and its cathedral is one of the largest and finest in France. At Le Vieil-Évreux, the Roman Gisacum, 3½ miles southeast of the town, the remains of a Roman theatre, a palace, baths and an aqueduct have been discovered, as well as various relics, notably the bronze of Jupiter Stator, which are now deposited in the museum of Évreux. Campanile Évreux is situated 1.5 kilometres from the centre of Évreux. 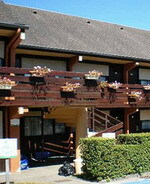 The nearest airport is Rouen Airport, 45 kilometres from the hotel. Guests can dine in the hotel restaurant and use wireless Internet access to plan days out. Parking is also available on site. There are facilities for horse-riding within five kilometres of the hotel. 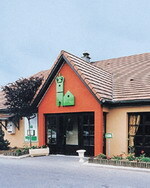 There are 38 guestrooms at Campanile Évreux, spread over a single storey. All rooms include satellite television and complimentary wireless Internet. Some rooms have wheelchair access. Guests receive complimentary coffee or tea on arrival. Ferney-Voltaire is a commune in the Ain department in eastern France. It lies between the Jura mountains and the Swiss border and forms part of the metropolitan area of Geneva. Ferney's main attraction is Voltaire's house (château), built 1758-66, now owned and administered by the Centre des monuments nationaux (an arm of the French Ministry of Culture). It is open to visitors between May and September. The château includes the main building, with a reconstruction of Voltaire's room (moved from its original location by later private owners), a garden with a fine view of the Alps, and a church dedicated, contrary to custom, directly to God. In the church's inscription, "Deo erexit VOLTAIRE" ("Erected to God by VOLTAIRE"), Voltaire's name is written in the largest characters. "To the Patriarch of Ferney." A few dozen meters from the château is another impressive house, built in 1900 by Monsieur Lambert (the sculptor of the statue of Voltaire; his family owned the château before it was purchased by the French government). The house, now privately owned, had been used to store provisions and wine for the château, and to accommodate the household staff. The village features 18th-century houses and artisans' workshops; a life-size statue of Voltaire; a smaller bust of him, surmounting a fountain; many restaurants, French and foreign; and proximity to the nearby cosmopolitan city of Geneva, Switzerland. Every Saturday, a market is held in the main street of Ferney. Residence Le Reserve is a modern villa-style property surrounded by gardens in the town of Ferney-Voltaire, situated in France, just five kilometres from Geneva city centre. Geneva International Airport is two kilometres away, a 10-minute drive. Guests can enjoy a sauna, swim in the outdoor pool (seasonal) and tone up in the fitness centre. The business corner features a PC with high-speed Internet and a printer, while other practical amenities at the Residence La Reserve include complimentary parking, multilingual staff at front desk, and a dry cleaning service. Apartments. The 88 apartments, over four floors, have modern decor with colourful fabrics and light-wood furnishings. Amenities include balconies, cable television, direct-dial phones, air conditioning, wireless Internet access, and kitchenettes with refrigerators, cookware, dishes and microwaves. Fontainebleau, together with the neighbouring commune of Avon and three other smaller communes, form an urban area of 36,713 inhabitants (according to the 1999 census). This urban area is a satellite of Paris. Fontainebleau is renowned for the large and scenic forest of Fontainebleau, a favourite weekend getaway for Parisians, as well as for the historical château de Fontainebleau, which once belonged to the kings of France, It is also the home of INSEAD, one of the world's most elite business schools; of the École supérieure d'ingénieurs en informatique et génie des télécommunications (ESIGETEL), one of France's grandes écoles; and of a branch of the École nationale supérieure des mines de Paris, the Paris School of Mines, also one of the elite grandes écoles. The Mercure Royal Fontainebleau is located in Fontainebleau, France, 500 metres from the Chateau de Fontainebleau and one kilometre from the town centre. 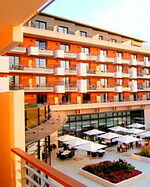 The hotel offers a dedicated business centre as well as two meeting rooms. Wireless Internet access is provided in public areas and there is indoor parking. A currency exchange service is available. 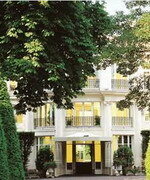 French dishes are served in the restaurant at Mercure Royal Fontainebleau, and the hotel also has a bar. The hotel's 97 guestrooms provide satellite television, wireless Internet access, and telephones with voicemail. Bottled water is complimentary. Fougères also has one of only three belfries in Brittany. Its location serves as the center of the weekend market. The belfry, built 1397, has symbolic importance funded by local merchants it allowed ordinary people access to timekeeping previously the preserve of the church and nobility. Fougères is a town of Art and History. A sizable section of the town walls survive stretching from the château in the lower town up the hill to surround the upper town. The citizens in the lower town were outside the fortifications and had to retreat into the fortress in times of trouble. 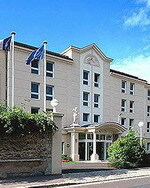 Campanile Fougeres is situated in Fougeres, 60 kilometres from Rennes-St Jacques Airport (RNS). Hotel Features. Guests can dine in the hotel restaurant. Complimentary onsite parking is available. There are facilities for tennis and horse riding within four kilometres of the hotel, and a golf course 40 kilometres away. 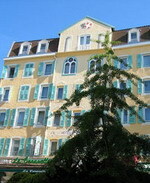 There are 48 guestrooms at Campanile Fougeres, spread over one floor. All rooms have wheelchair access. Gaillard is a commune in the Haute-Savoie department in the Rhône-Alpes region in south-eastern France. Gaillard is close to Geneva on the Swiss border. The biggest border crossing is called Moillesulaz and the second one is Fossard. The Hotel Porte de Geneve is a two-storey hotel with rustic touches located with easy access to the A40 and A41 highways, and just 2 kilometers from Geneva. In Annemasse-Gaillard (over the French border), the hotel is 20 kilometers drive from Yvoire, 30 kilometers from Annency and 45 from the slopes of Chamonix. 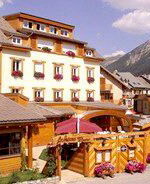 All 45 guestrooms are decorated in a typical Savoyard style, with checked bedspreads and wooden curved headboards. All guestrooms feature cable TV, complimentary newspapers, tea and coffee making facilities, direct-dial phones, and complimentary wireless Internet. Complimentary parking allows guests to leave cars at the hotel and go walking or jogging in the large park adjacent. After a walk or a run, guests can enjoy typical Savoyard specialties, such as fondue and raclette, at Le Fil des Saisons, the hotel's onsite restaurant. During summer the hotel has a barbecue on the terrace. Gap is a commune in south-eastern France, the capital of the Hautes-Alpes department. An Alpine crossroads at the intersection of D994 and Route nationale 85 the Route Napoléon, Gap lies 2,406 feet above sea level along the right bank of the Luye River (close to where it joins the Durance River). The region around Gap is known as Gapençais. This property is located in Ancelle. Recreational amenities at Hotel Les Autanes include a spa tub, a sauna, and a steam room. Other amenities include a restaurant, a bar/lounge, and spa services. More hotel information Guestrooms have satellite television and cable/satellite TV; bathrooms include separate bathtubs and showers and scales. Grasse is a town in south-eastern France. It is a commune of the Alpes-Maritimes department (of which it is a sub-prefecture), on the French Riviera. The town is considered as the world's capital of perfume. It obtained two flowers in the Concours des villes et villages fleuris contest and was made "Ville d'Art et d'Histoire" (town of art and history). Juan-les-Pins is a town in the commune of Antibes, in the Alpes-Maritimes, in southeastern France, on the Côte d'Azur. 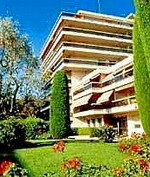 It is situated between Nice and Cannes, at 13 km of the Nice Côte d'Azur Airport. It is a major holiday destination popular with the international jet-set, with casino, nightclubs and beaches, which are made of fine grained sand, and are not straight, but instead are cut with small inlets. 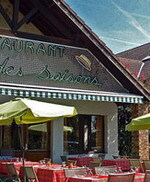 Juan-les-Pins is famous for its annual jazz festival in July. New Orleans is a sister city, something which for a series of years was manifested with carnival festivities in the streets of Juan-les-Pins, with both local and New Orleans jazz bands parading. Along the street behind the seaside stage where the annual jazz festival "Jazz à Juan" is held, one will find ceramic tiles laid into the pavement with handprints of more than 50 jazz musicians who have played at this festival, among those Al Jarreau, B. B. King, Chick Corea, Clark Terry, Dave Brubeck, Dee Dee Bridgewater, Eddy Louiss, Elvin Jones, Fats Waller, George Benson, Hank Jones, Jack DeJohnette, Joshua Redman, Little Richard, Milt Jackson, Oscar Peterson, Pat Metheny, Ravi Coltrane, Ray Charles, Richard Galliano, Roy Haynes, Shirley Horn, Sonny Rollins, Stéphane Grappelli and Wynton Marsalis. The modern Best Western Astoria in Juan les Pins is located on a quiet street leading directly down to the promenade and beach in Juan les Pins, with shops and restaurants less than 200 meters away. The 49 guestrooms, some with sea views, are spread over six floors, and serviced by an elevator. The hotel can arrange transportation to and from the airport. Parents have the opportunity to spend some time alone, thanks to the hotel's childcare service, and cribs are also available for the little ones. At the Best Western Astoria, Juan Les Pins, the Côte d'Azur offers many attractions and the surrounding area is easily accessible from the hotel. Antibes is only three kilometers away and Cannes is ten kilometers. Nice airport is approximately 30 minutes drive. Inaugurated in 1907, in the heart of the Bois de Boulogne, the Napoleon III style pavilion in the Pré Catalan has seen a long parade of royalty, presidents, dandies and artists from all walks of life pass through its doors. This prestigious location is also an absolute must on any gourmet tour. It is here that Frédéric Anton presents his sophisticated culinary artistry. Just like Joël Robuchon, at whose side he honed his skills, this young chef focuses on technical mastery and an expert choice of ingredients. Under his eyes, nothing is left to chance. His motto: «Even if perfection is not of this world, that’s no reason not to try to achieve it». Ideal for business or vacation, Hotel Les Strelitzias Juan Les Pins offers the perfect balance between the warm and relaxing feel of a stately home and the comfort of state-of-the-art facilities. The modern Les Strelitzias Hotel is situated on the edge of a lovely garden in a quiet residential area. The hotel is only 300 metres away from the sandy beach and the centre of Juan-les-Pins, with its many restaurants, shops and cafes. Guests can relish at the onsite restaurant that serves a variety of delicacies. You are also welcome to the lounge bar to relax with your favourite drink or to meet friends. Guests travelling on business purpose can make use of the well equipped conference room for various business meets and seminars. During leisure, you can play a game of tennis or work out at the onsite fitness centre. Spacious parking space is also available on the premises for your convenience.